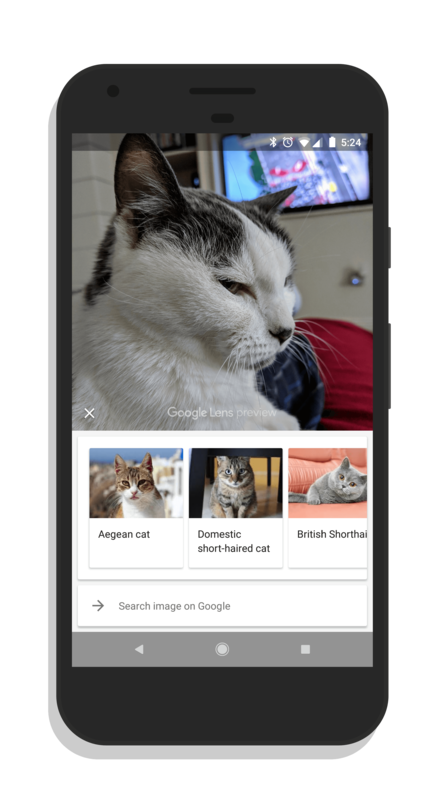 Google has begun rolling out a new cloud-side update to Google Lens, the applet inside of Google Assistant and Google Photos, enabling it to identify both dog and cat breeds you see or in your photos. The new feature is making its way out broadly to users so it is likely that you already have it so long as you have the latest Google app on your phone. Previously, when you used Google Lens on a photo of a dog or cat, either by using it in Assistant or in Photos, it would simply come up with a generic “looks like a cat” or “a cat” but it didn’t provide any breed information. Now when you use Lens to review a photo of a dog or cat, it will give you a carousel of breeds that Google’s AI thinks might be the breed of the animal. In the case of Lucky the Cat, she is very much the generic Domestic short-haired cat but Lens popped up a few other potential or similar breeds. If you tap on one of the images in the carousel, you will be taken to a Google search page for that particular breed. Google has been clear that they want to expand the AI that sits behind Lens and enable it to identify animals, flowers and other objects more readily. Like all artificial intelligence, it has to learn as it goes and this is a good example of how Lens has progressed in a very short period of time.